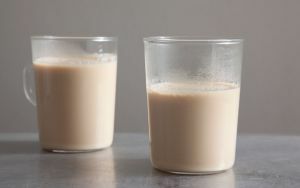 Milk Tea is a traditional Mongolian beverage recipe called Suutei Tsai. Boil the water, add tea and salt. Add the milk and boil again.